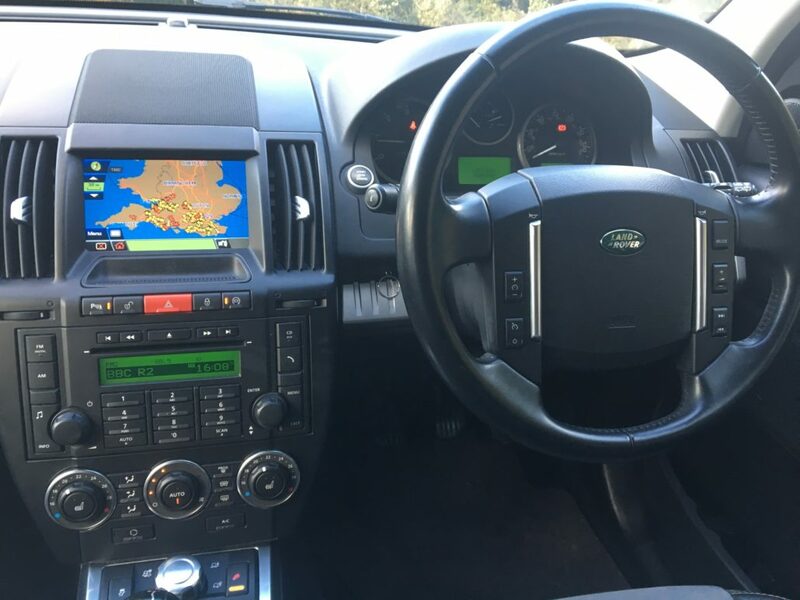 All our vehicles have undergone a full mechanical check and we offer several warranty options or can arrange finance on your behalf. 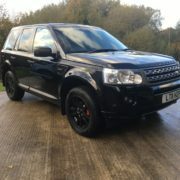 We’ll also be delighted to service and maintain your vehicle with up to 50% savings over main franchised dealers. 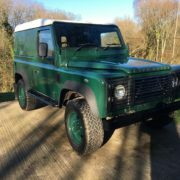 If we have no stock here of interest to you, its worth making contact with us by phone or email to see what we have in preparation or arriving soon. 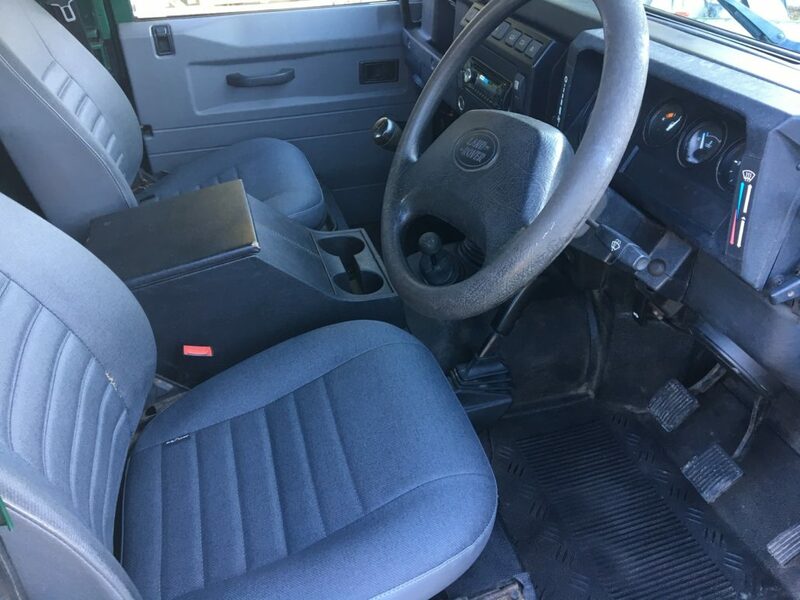 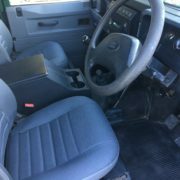 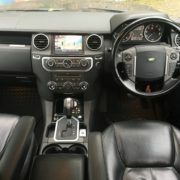 We are also happy to source a vehicle for you to suite your budget and specification. 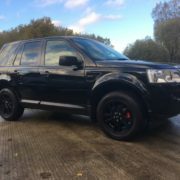 ALL OUR VEHICLES HAVE UNDERGONE A FULL MECHANICAL CHECK AND WE OFFER SEVERAL WARRANTY & FINANCE OPTIONS. 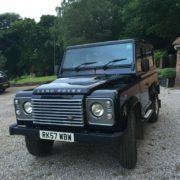 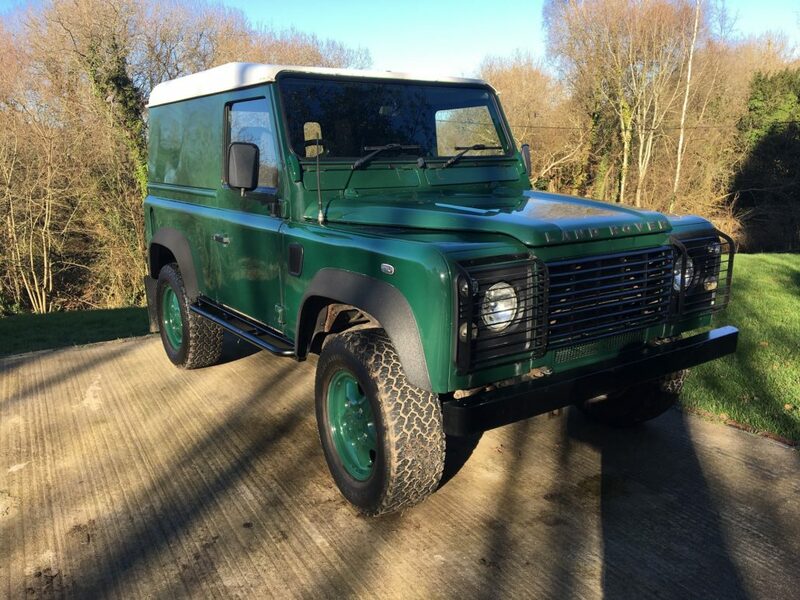 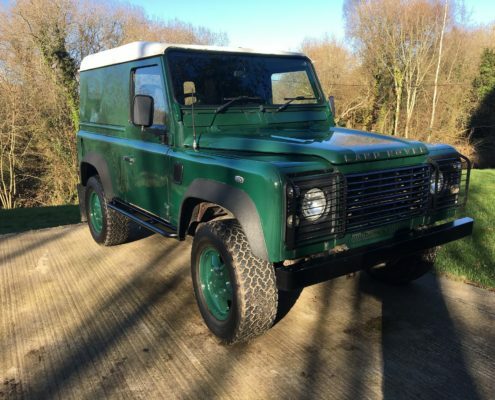 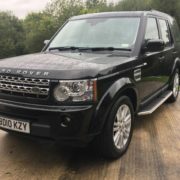 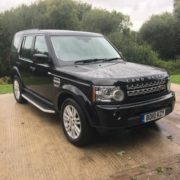 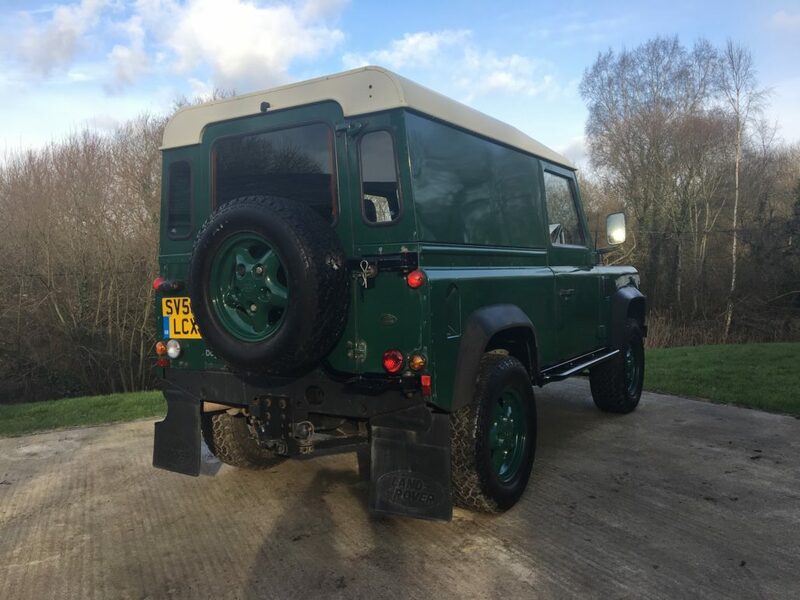 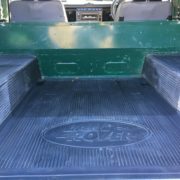 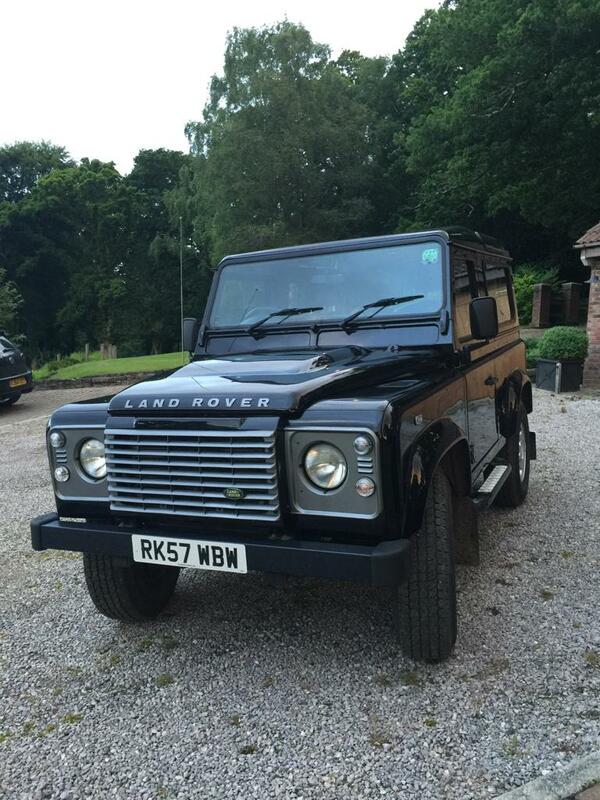 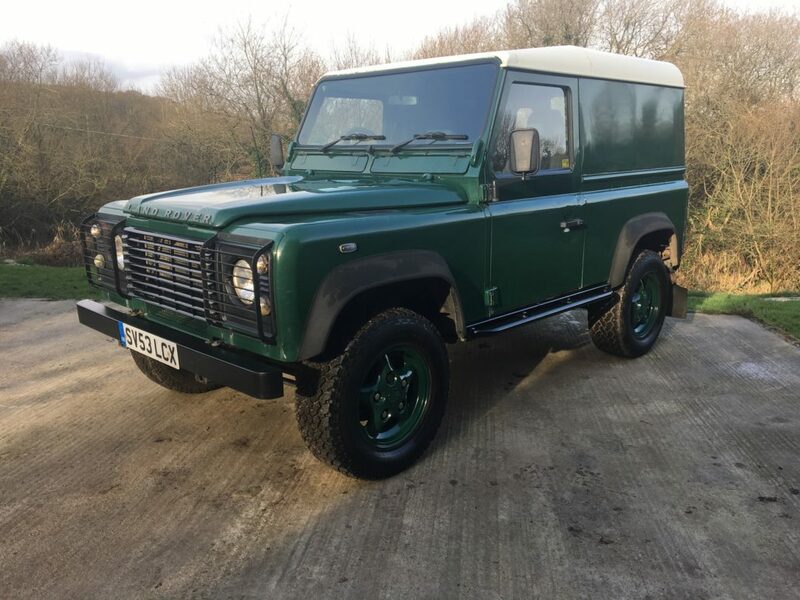 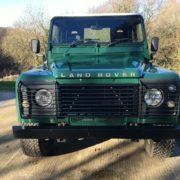 WE ARE A FAMILY BUSINESS WITH OVER 30 YEARS SPECIALIST EXPERIENCE IN LAND ROVERS. 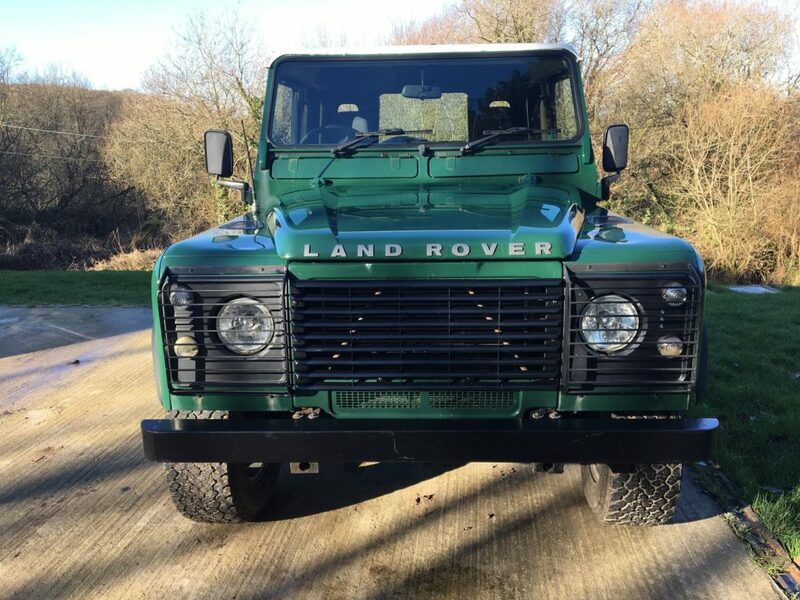 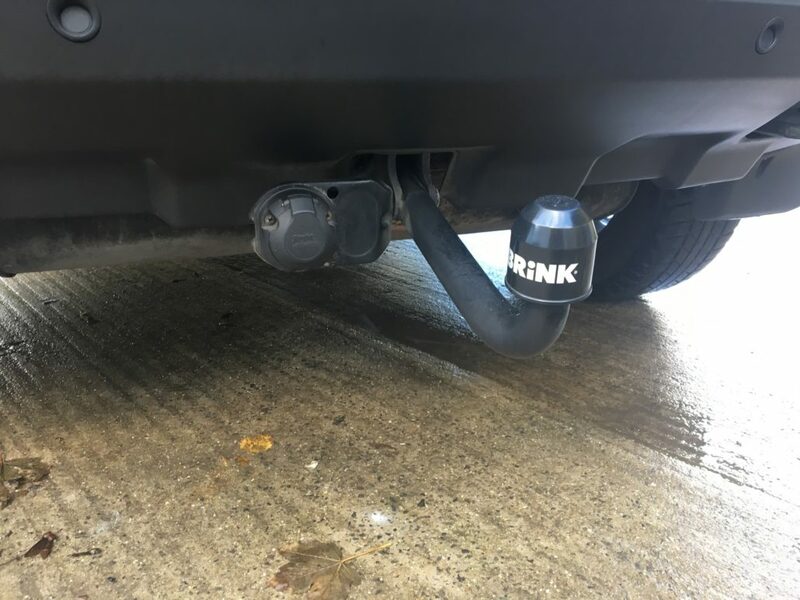 WE ARE ABLE TO SERVICE AND SUPPORT ALL THE LATEST LAND ROVER MODELS IN LINE WITH LAND ROVER MAIN WARRANTY REQUIREMENTS WITH UP TO 50% SAVINGS. 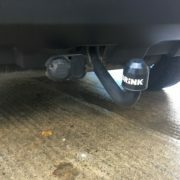 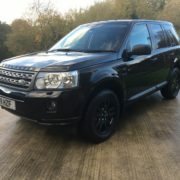 IF YOU WOULD LIKE TO KNOW MORE, OR TO ARRANGE A TEST DRIVE CALL US ON 01425 501001 OR VISIT candys4x4.co.uk. 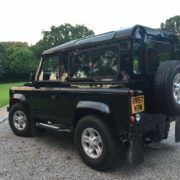 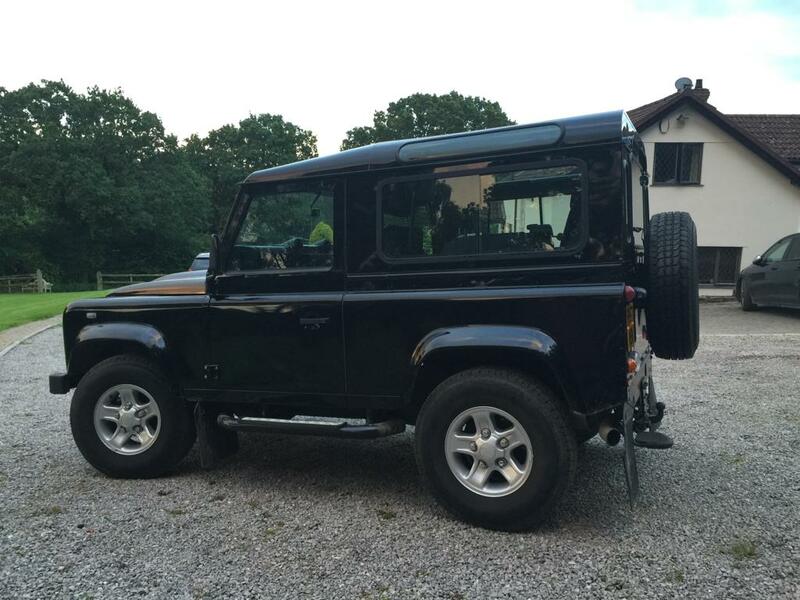 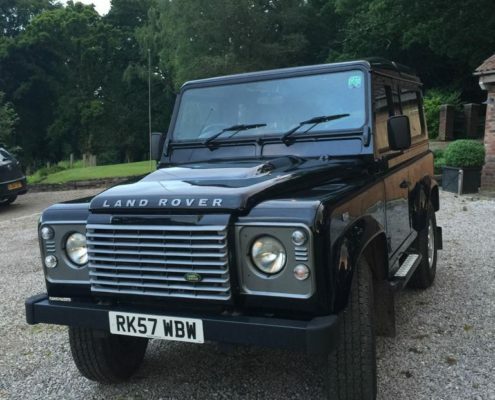 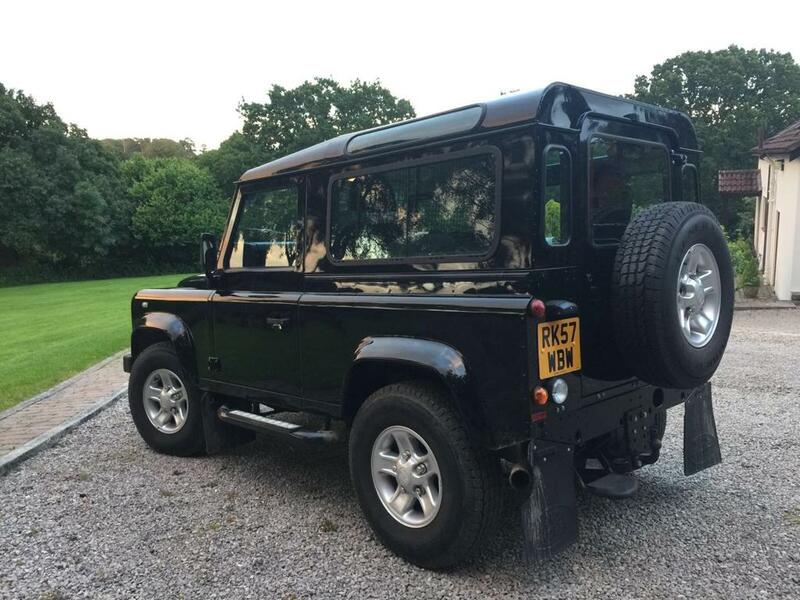 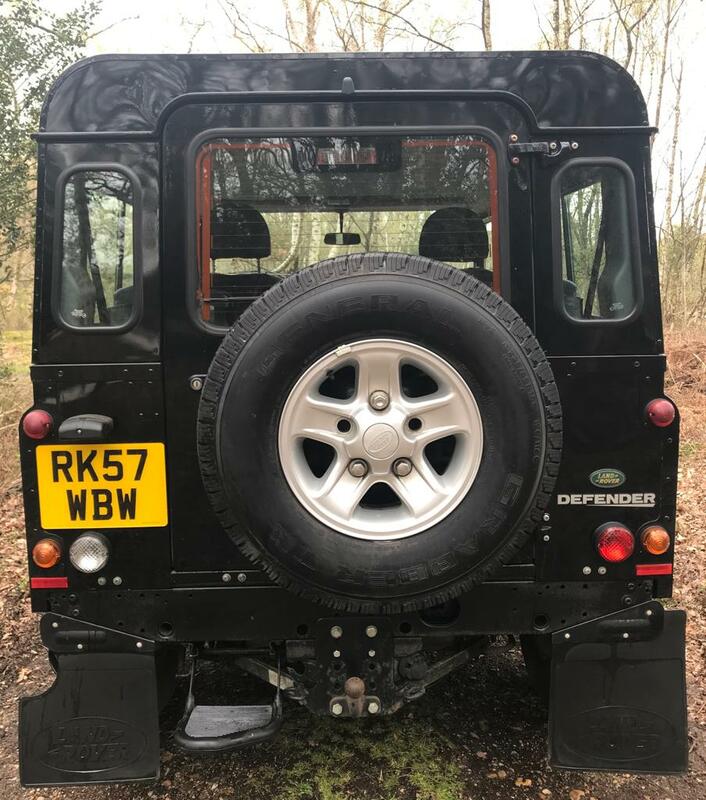 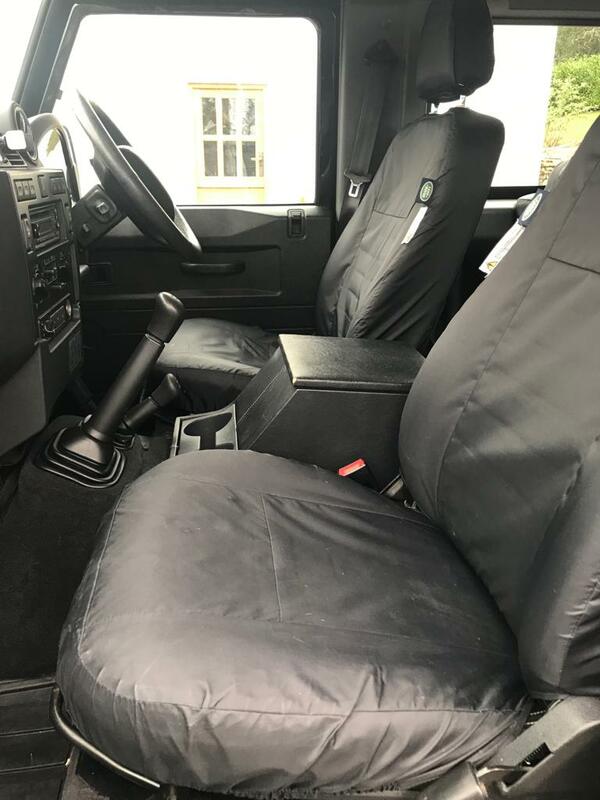 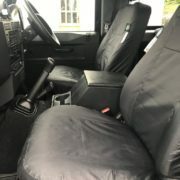 A Stunning Defender XS in Black with Black part Leather & Land Rover Waterproof Seat Covers, Heated Seats, Tinted Glass, Electric Windows, Air Conditioning, All other usual XS Refinements including: In Car Entertainment (Radio/CD/MP3), Alarm/Immobiliser, Side Steps, Rear Step & Tow Bar, Full Service History. 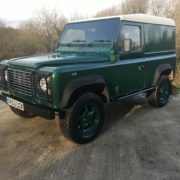 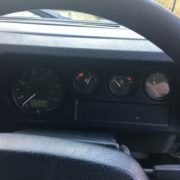 £23,450. 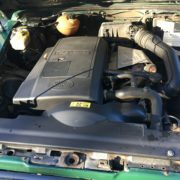 A shining example of the much loved TD5 engine. 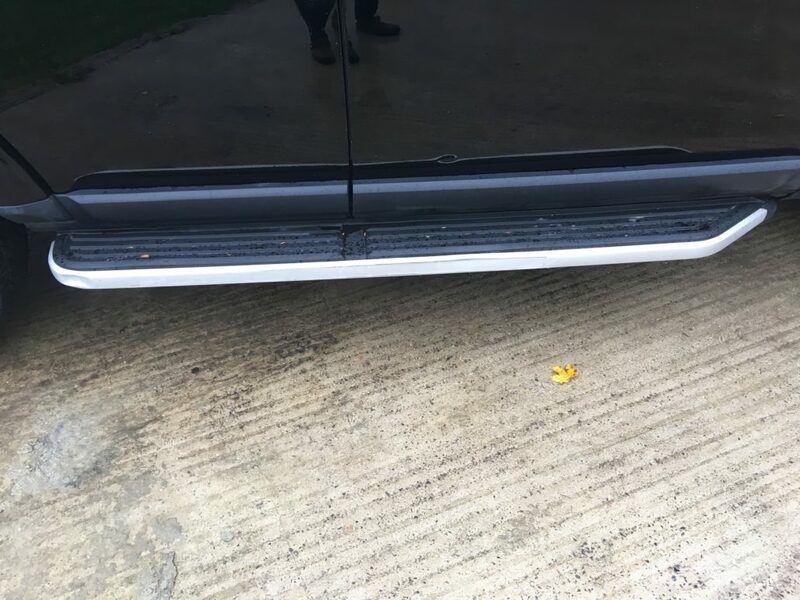 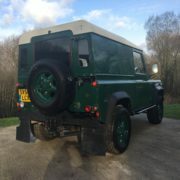 The bodywork is in good original condition with no chequer plate to hide marks on the sills or bodywork. 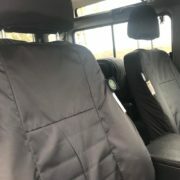 The interior has been refurbished by us with seats provided by Exmoor trim. 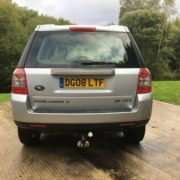 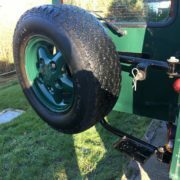 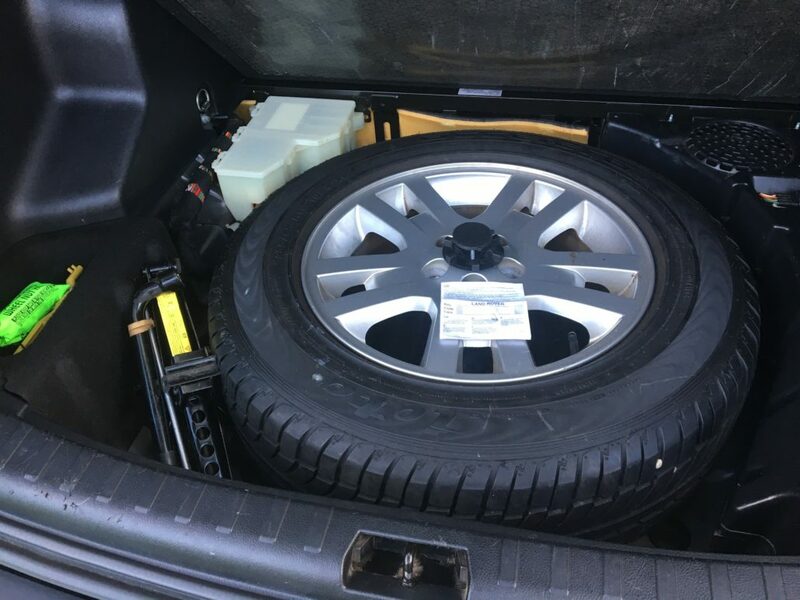 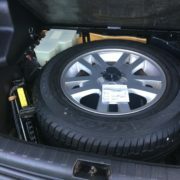 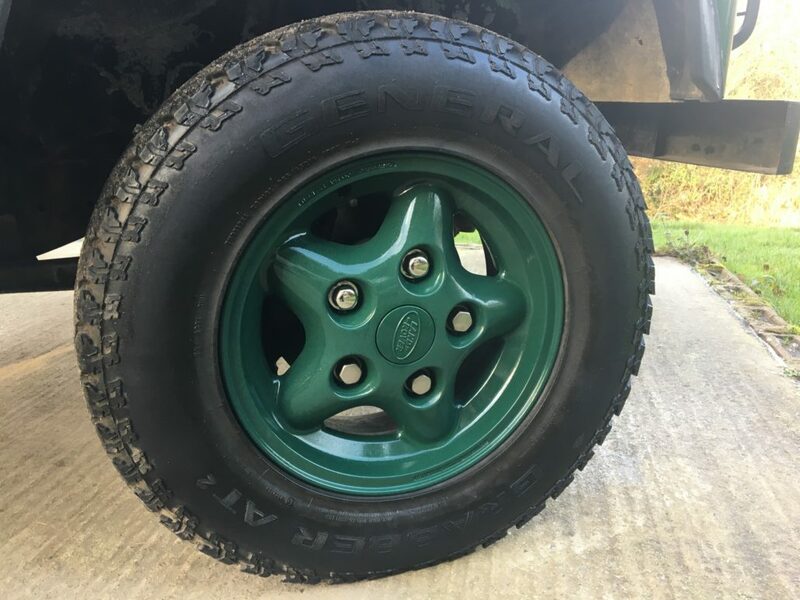 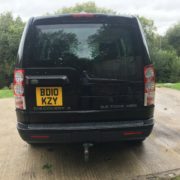 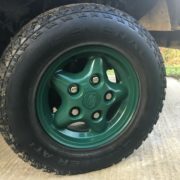 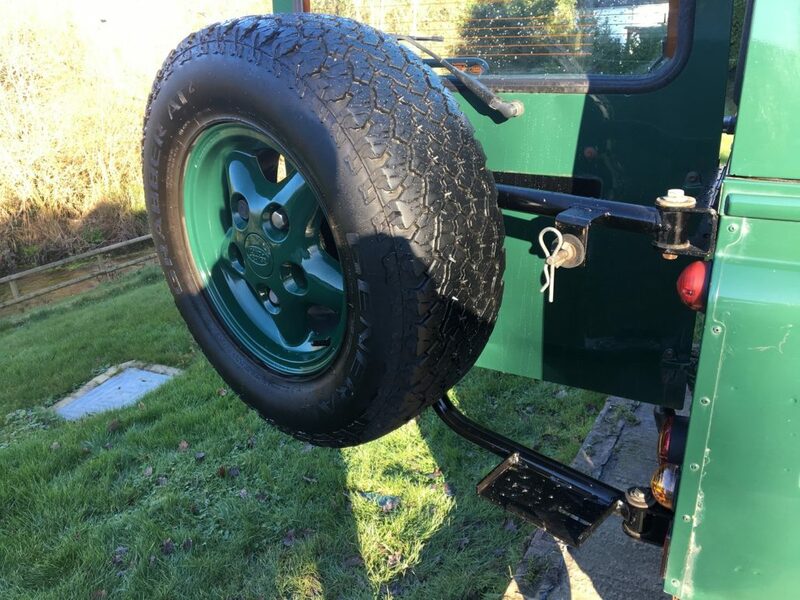 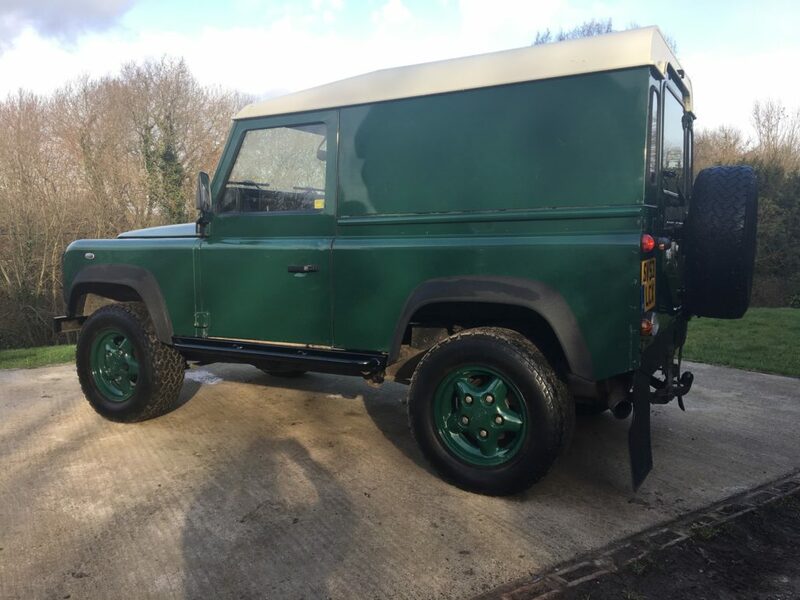 Light guards, Tow bar, Alloy wheels with General Grabber tyres. 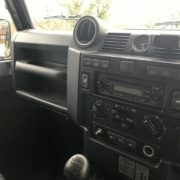 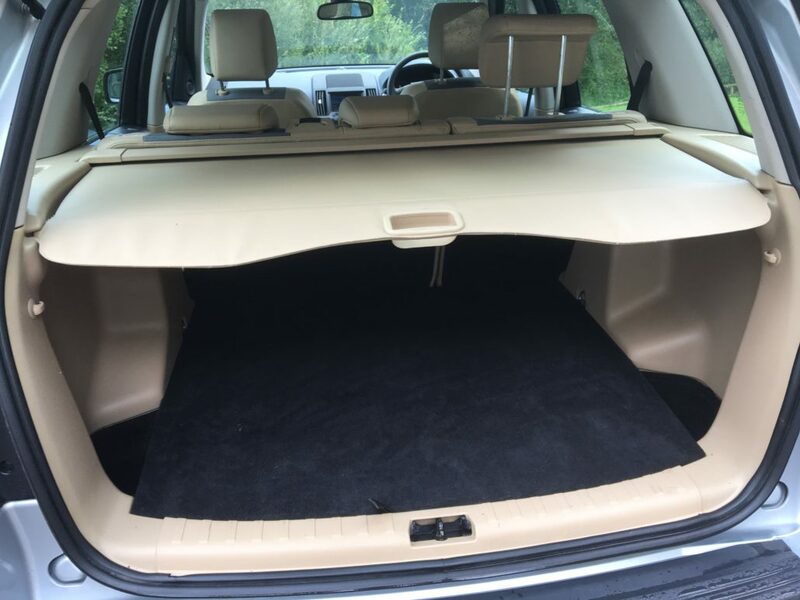 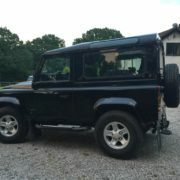 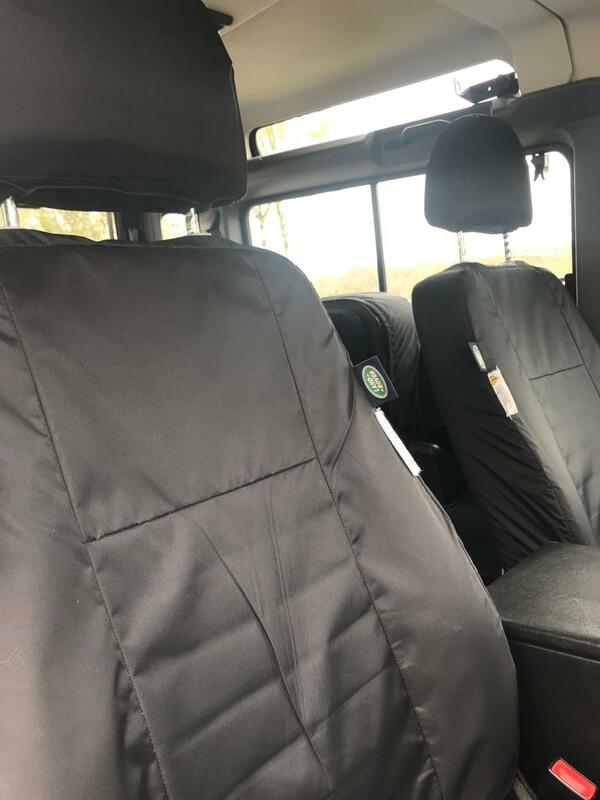 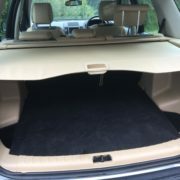 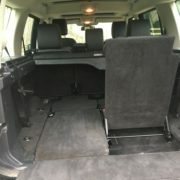 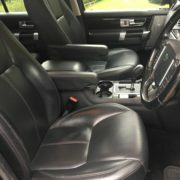 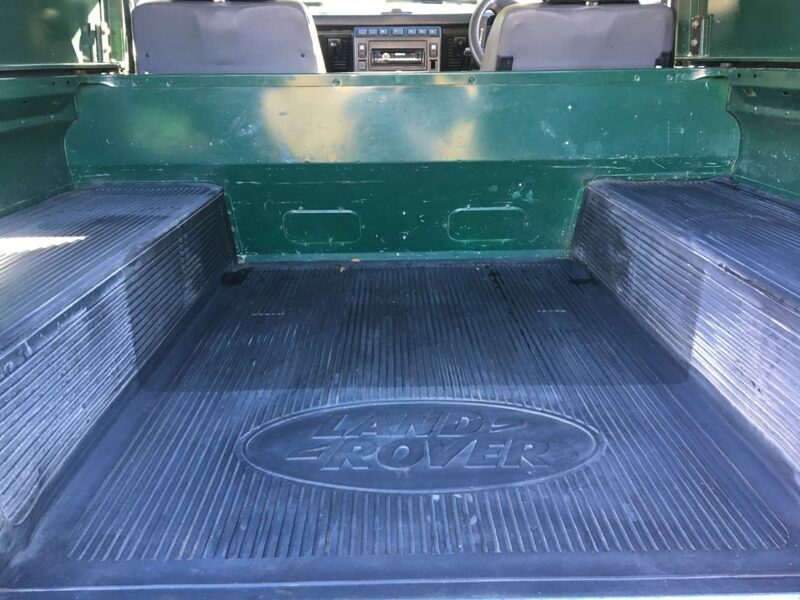 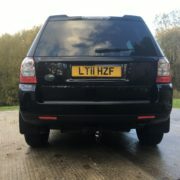 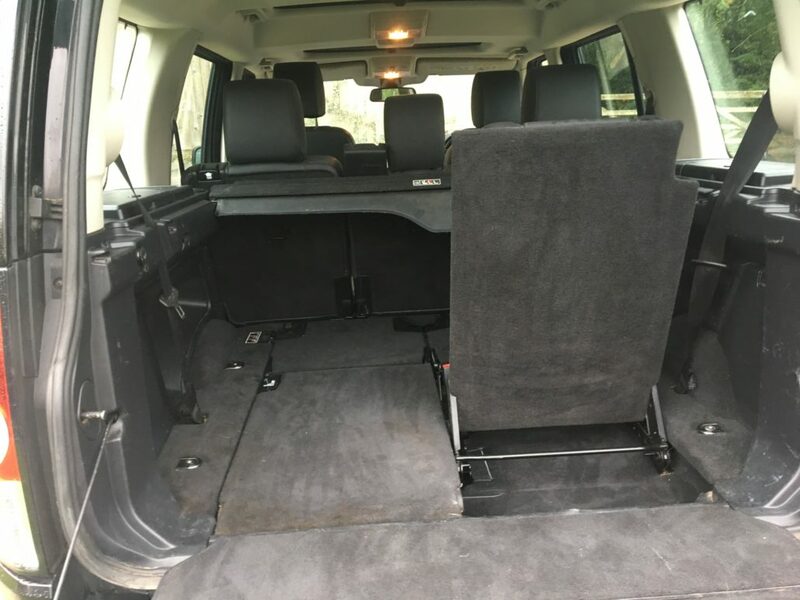 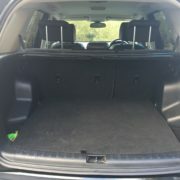 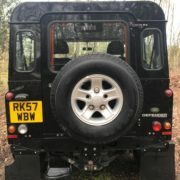 We are happy to fit any Land Rover extras you would like to this vehicle, such as windows, rear seats, dog guards etc. 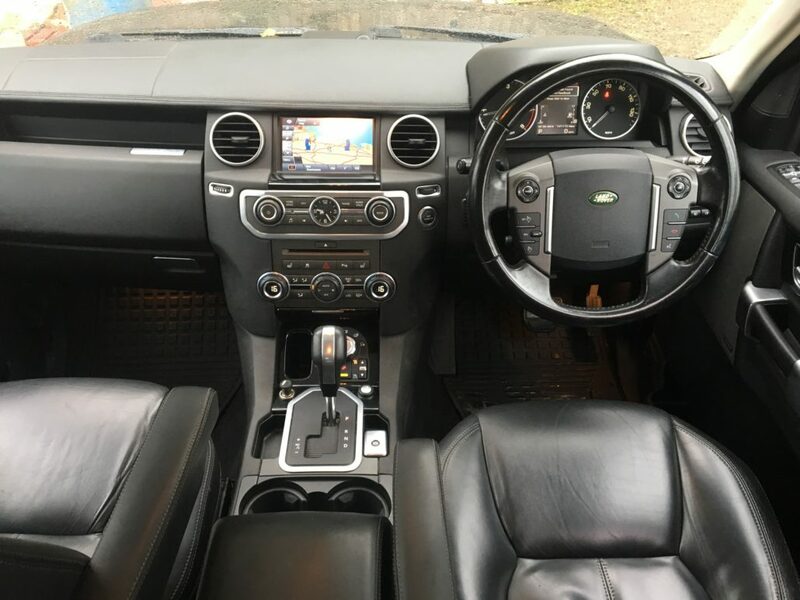 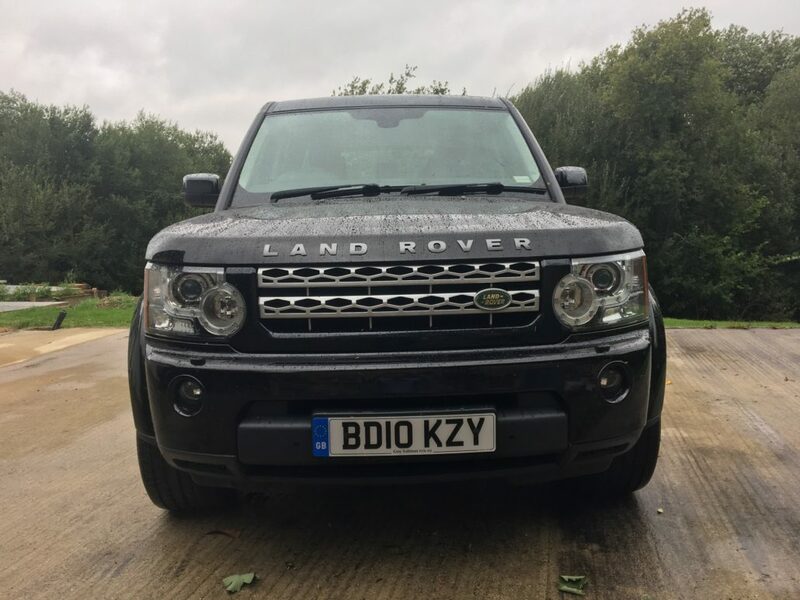 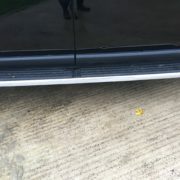 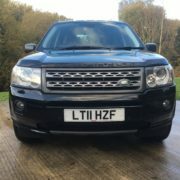 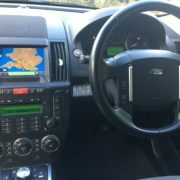 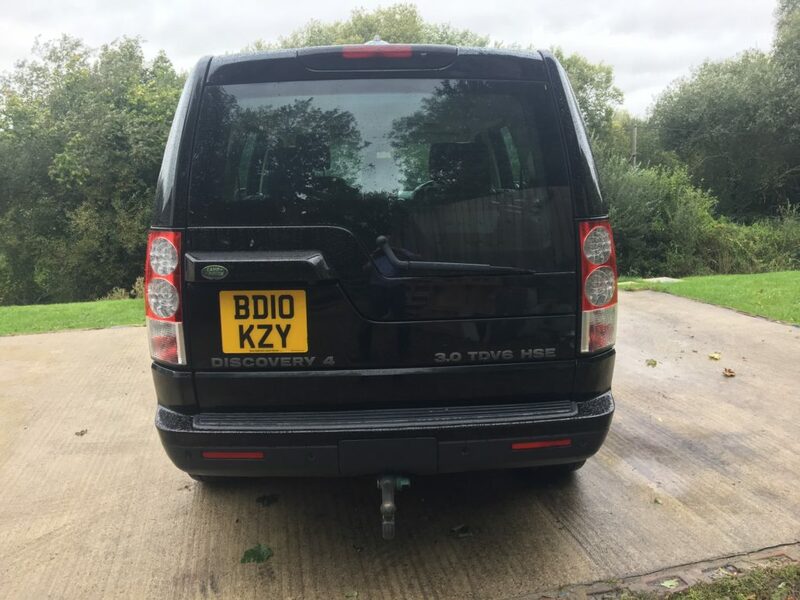 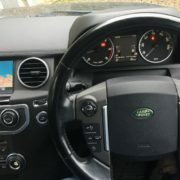 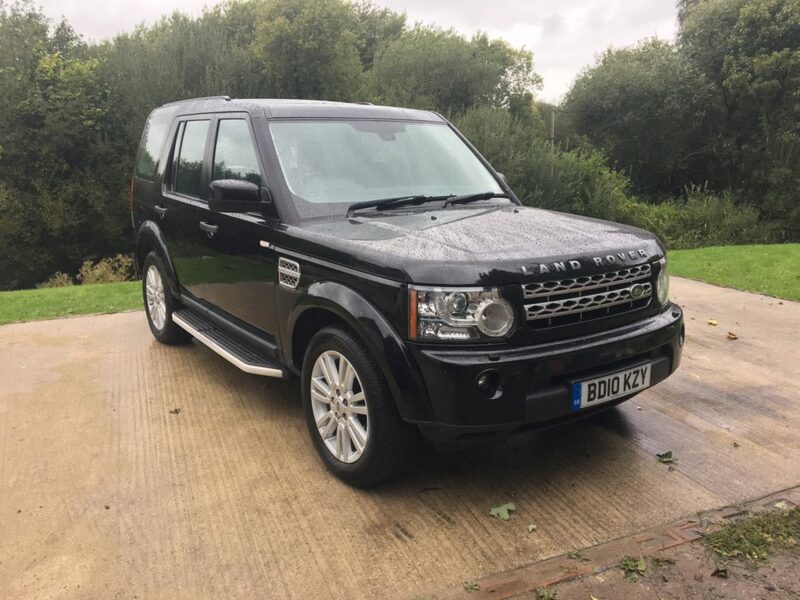 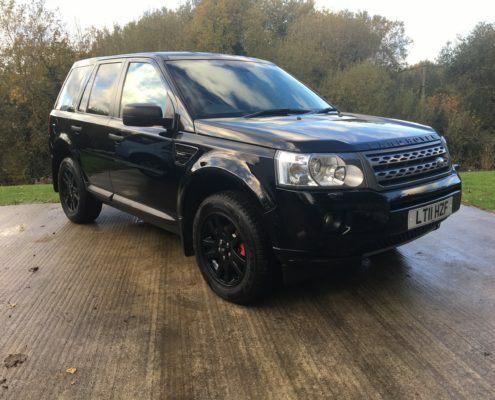 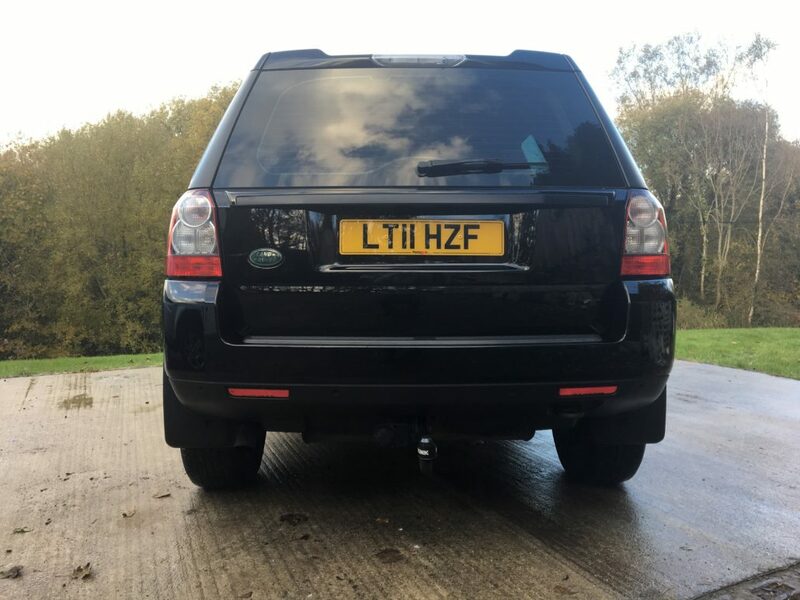 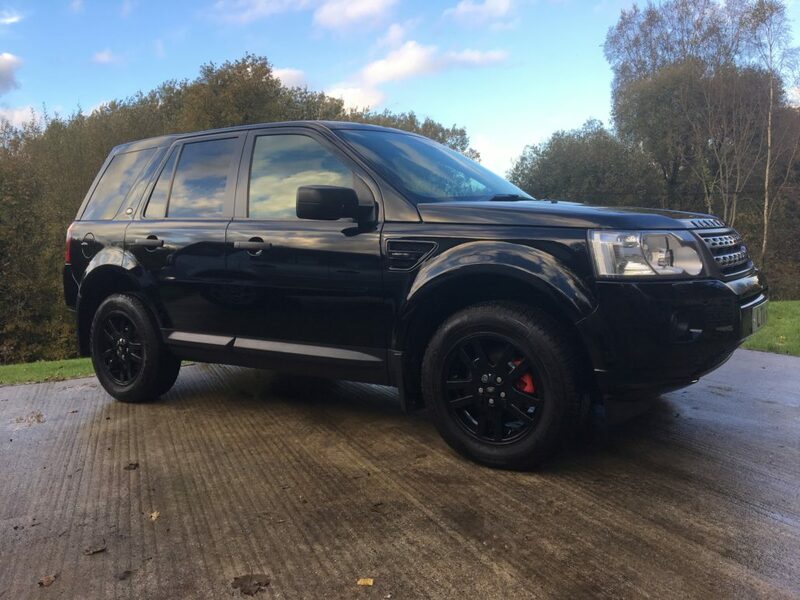 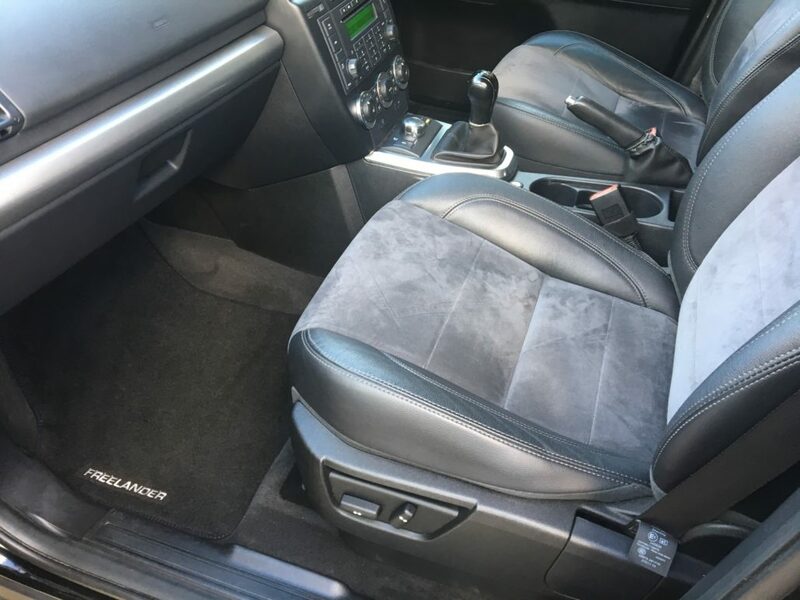 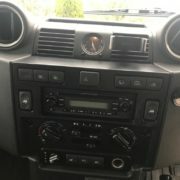 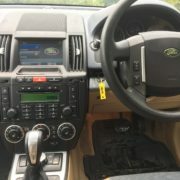 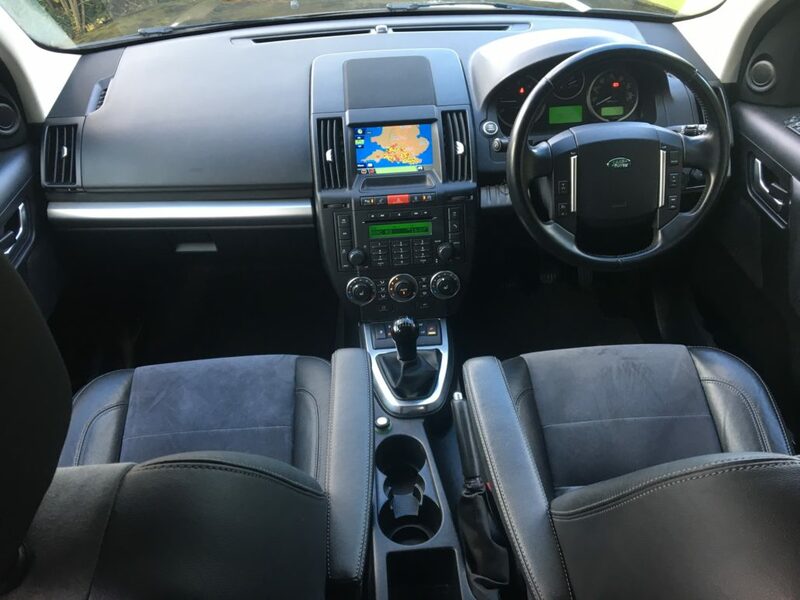 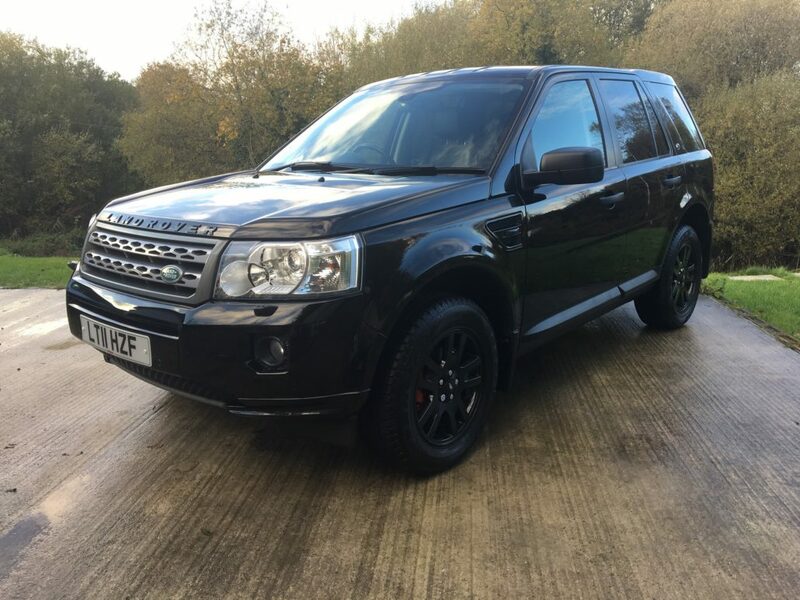 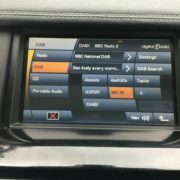 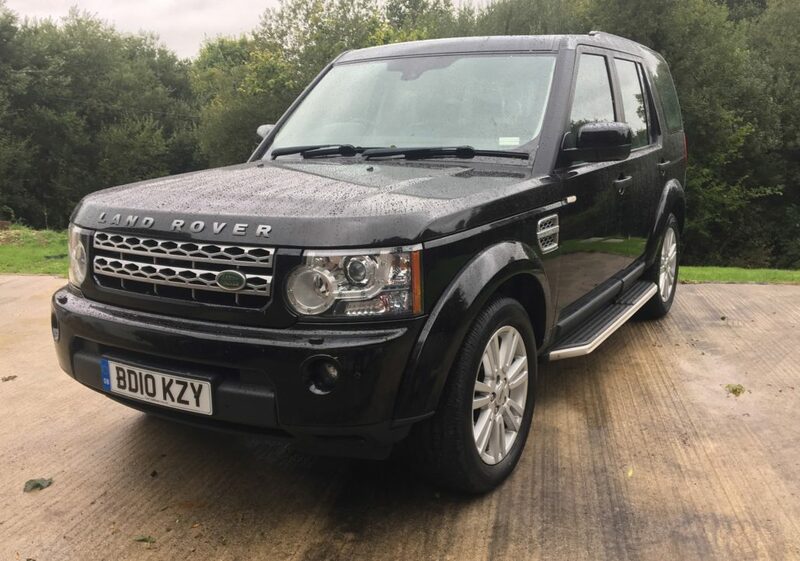 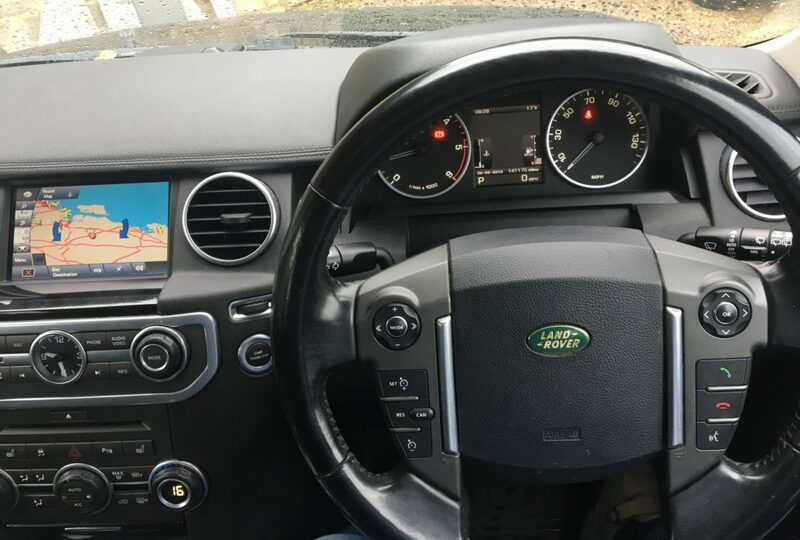 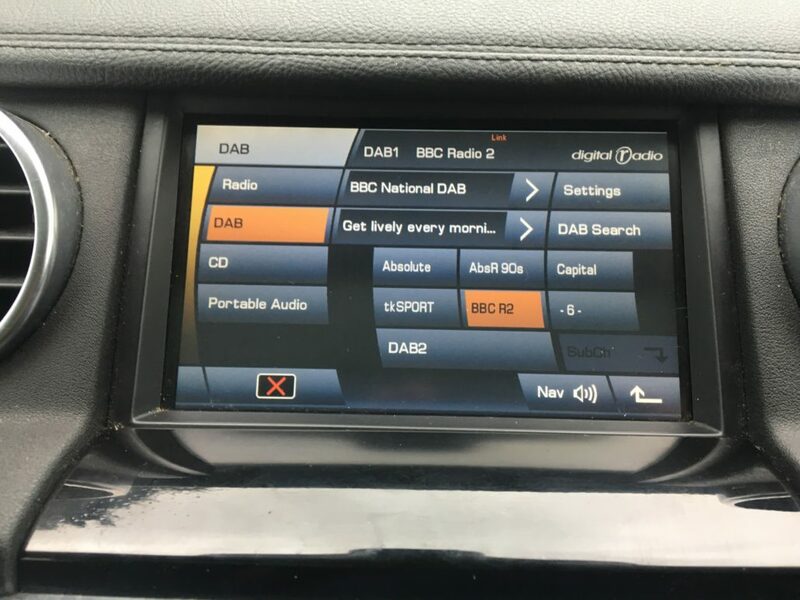 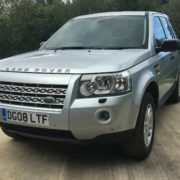 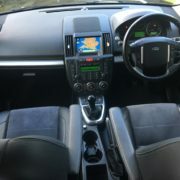 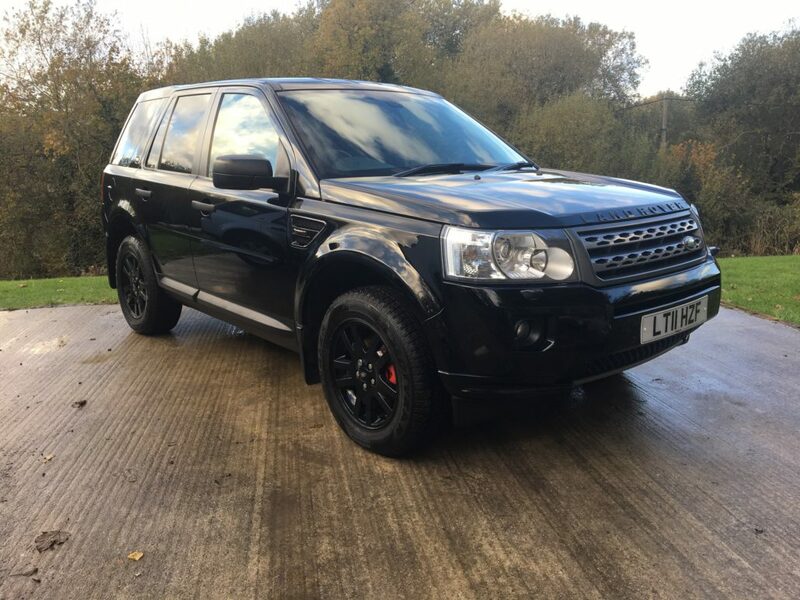 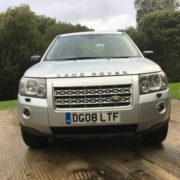 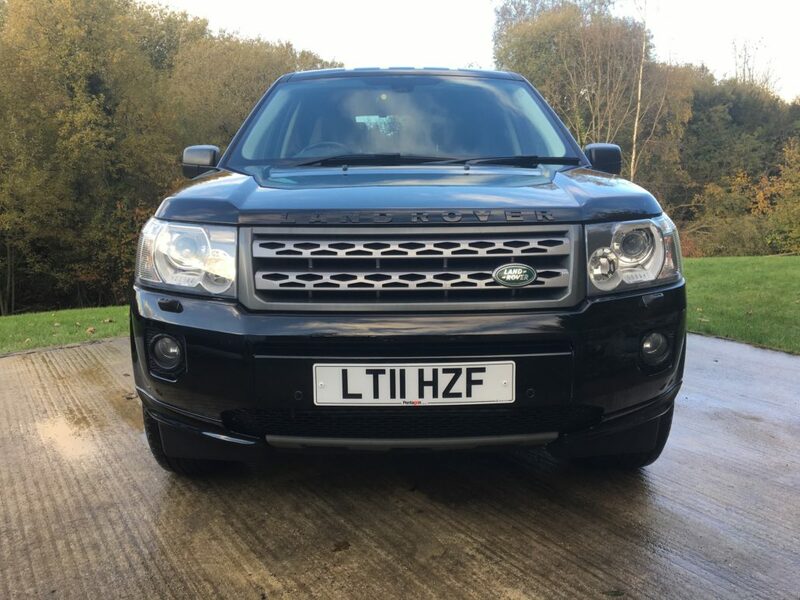 Another Great looking Freelander SD4 XS, it has Full Service History, MOT until August 2019, Premium Black Alloys, Black Leather/Alcantara and ebony Interior, Floorwell lighting, Navigation System with Touch Screen and TMC, Bluetooth Telephone Connectivity, Enhanced In Car Entertainment System including CD Auto-changer, MP3 Disc Compatibility, Auxiliary Input, Multi-function Steering Wheel with Cruise Control, Perimetric Alarm System, Driver Information Centre, Armrests, Electric Seat Adjustment Including Height and Recline & Driver Lumbar Support, 2 Stage Heated Seats, Auto Dimming Rear View Mirror, Electric Windows – Front and Rear all One-Touch Open/Close, Hill Descent Control (HDC) & Traction Control, Front & Rear Parking Aids, Heated Front and Rear Screens, Auto headlamps, Rain Sensor, Headlamp Power Wash, Heated Windscreen Washer Jets, Full Size Spare, Central locking, Air Conditioning. 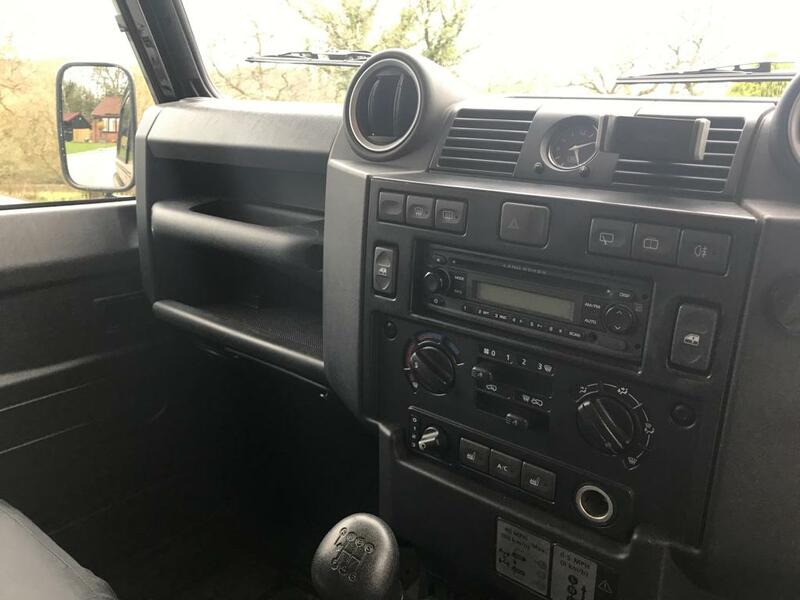 ALL OUR VEHICLES HAVE UNDERGONE A FULL MECHANICAL CHECK AND WE OFFER SEVERAL WARRANTY OPTIONS, AS WELL AS PART EXCHANGE. 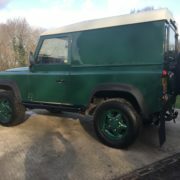 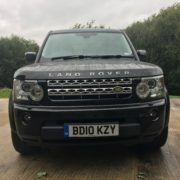 WE ARE A FAMILY BUSINESS WITH OVER 30 YEARS SPECIALIST EXPERIENCE IN LAND ROVERS. 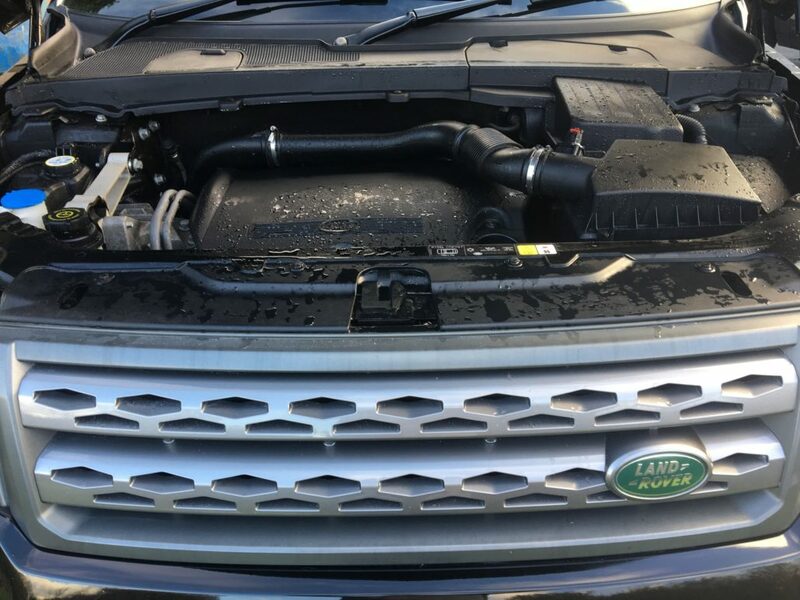 WE ARE ABLE TO SERVICE AND SUPPORT ALL THE LATEST LAND ROVER MODELS IN LINE WITH LAND ROVER MAIN WARRANTY REQUIREMENTS WITH UP TO 50% SAVINGS. 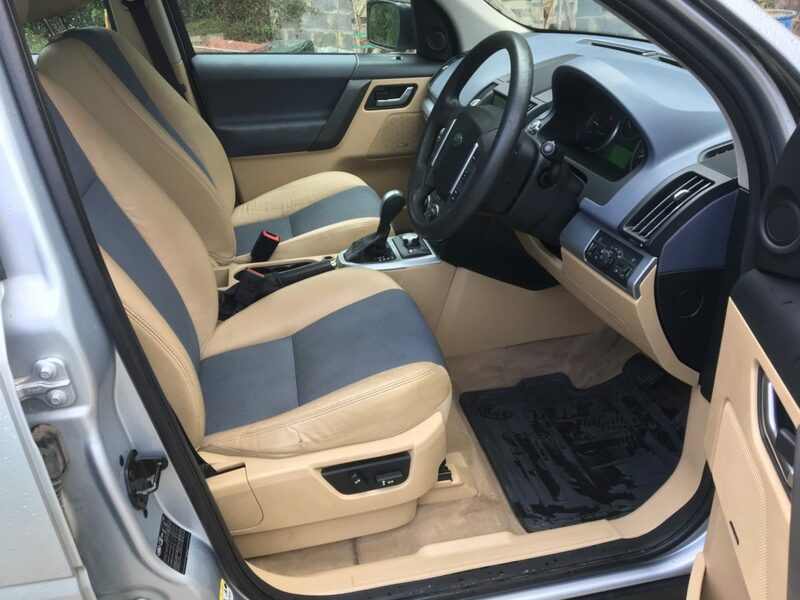 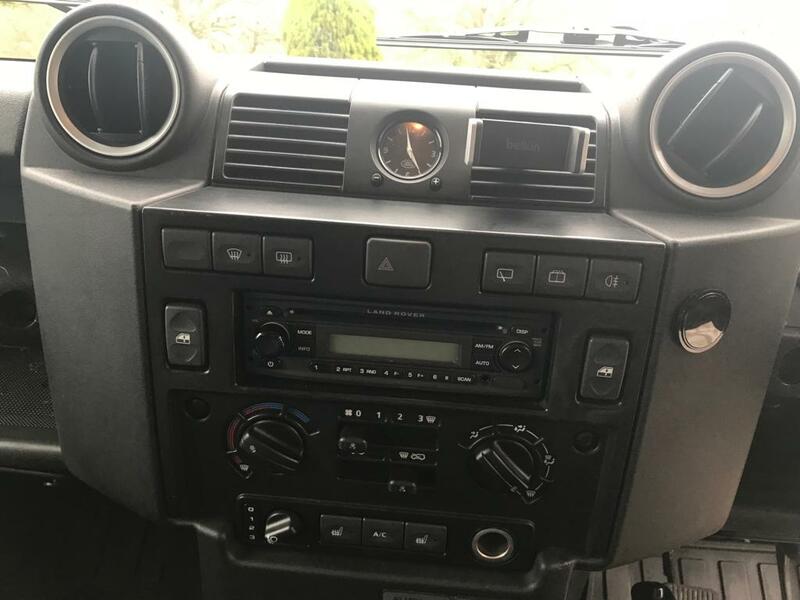 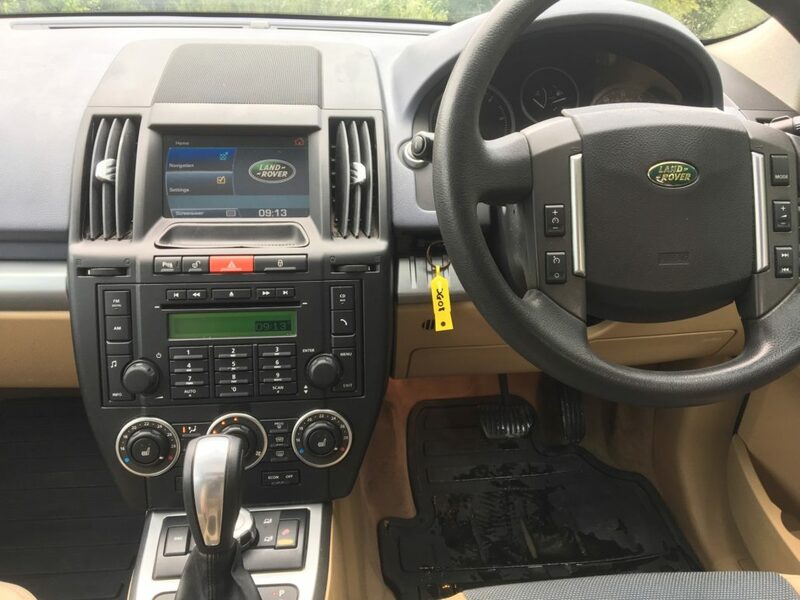 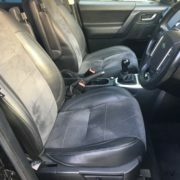 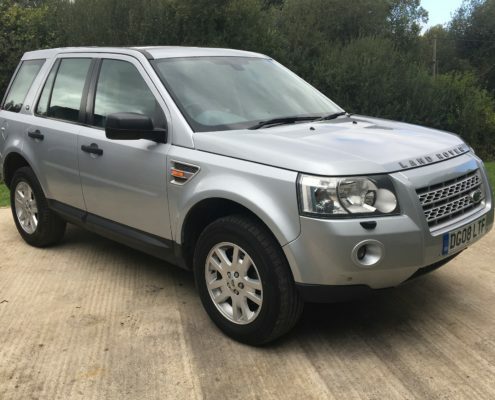 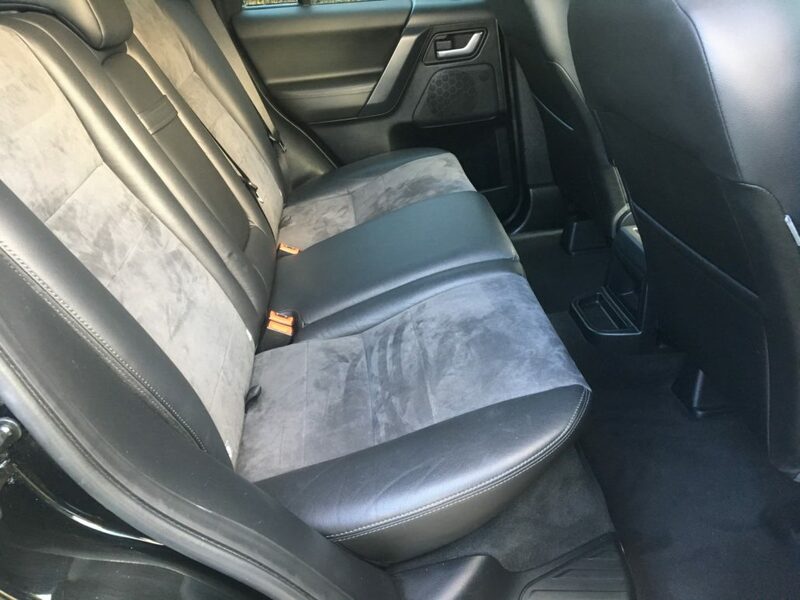 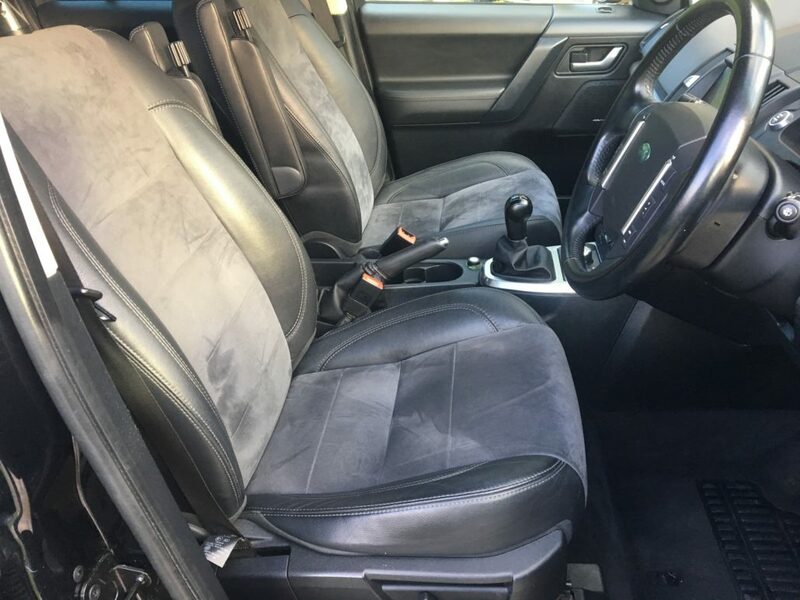 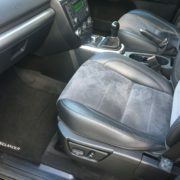 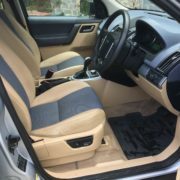 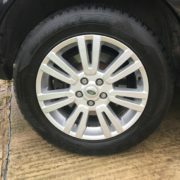 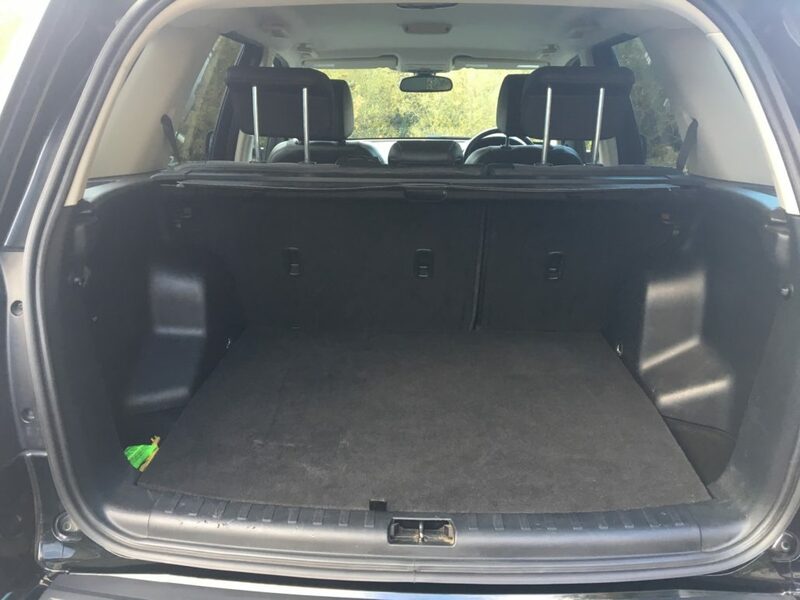 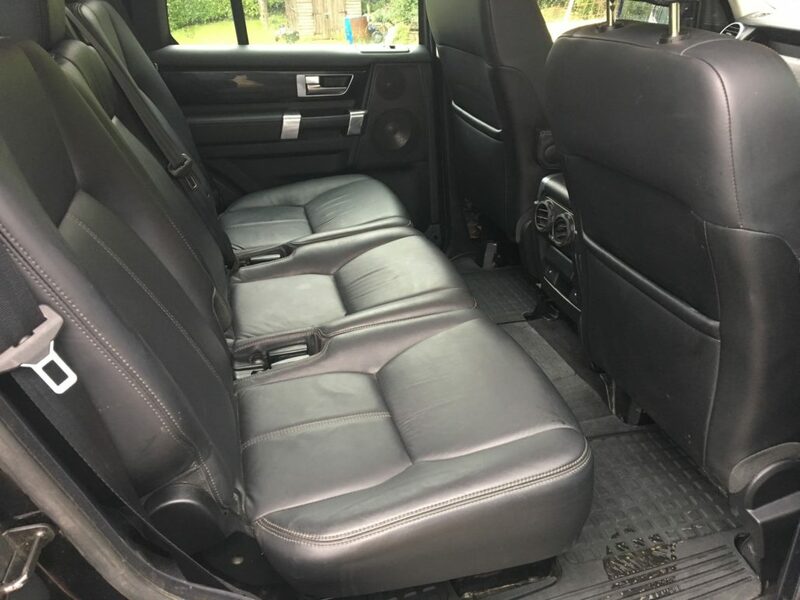 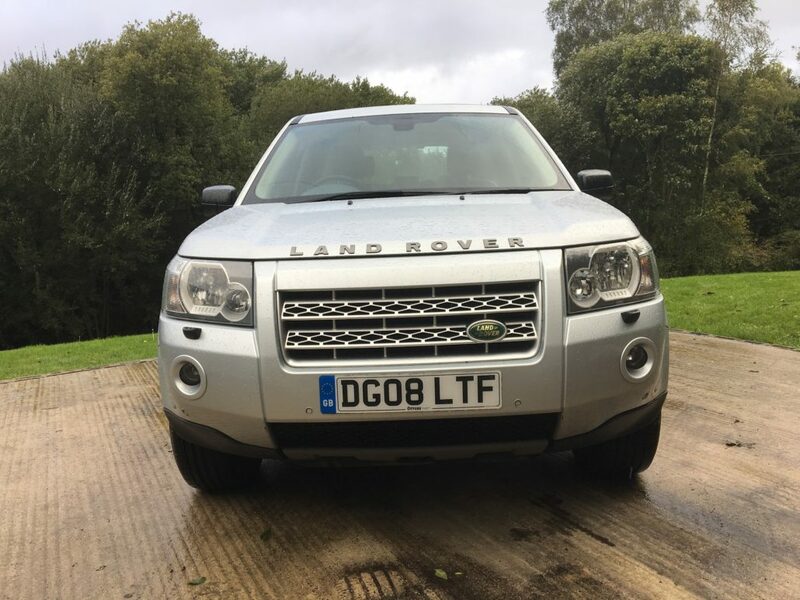 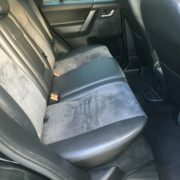 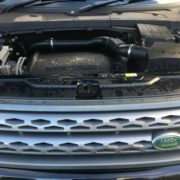 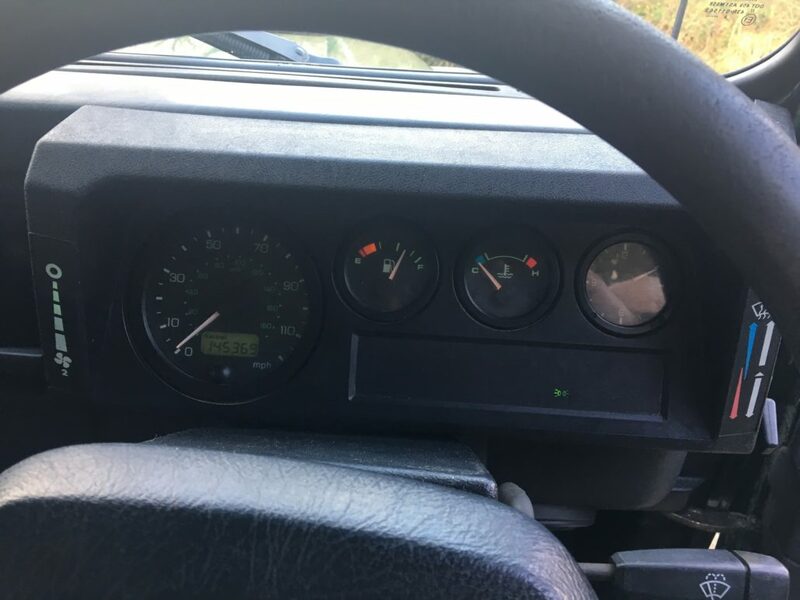 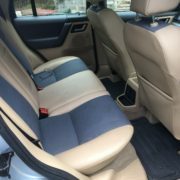 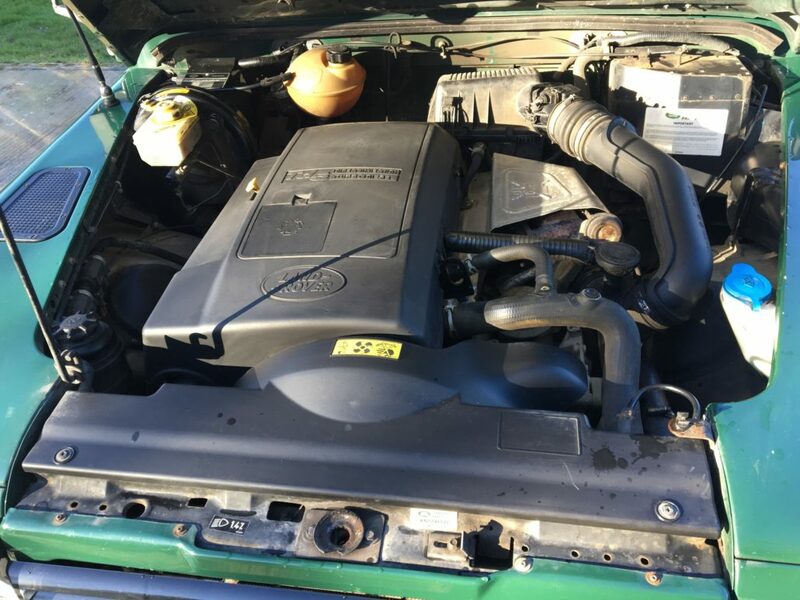 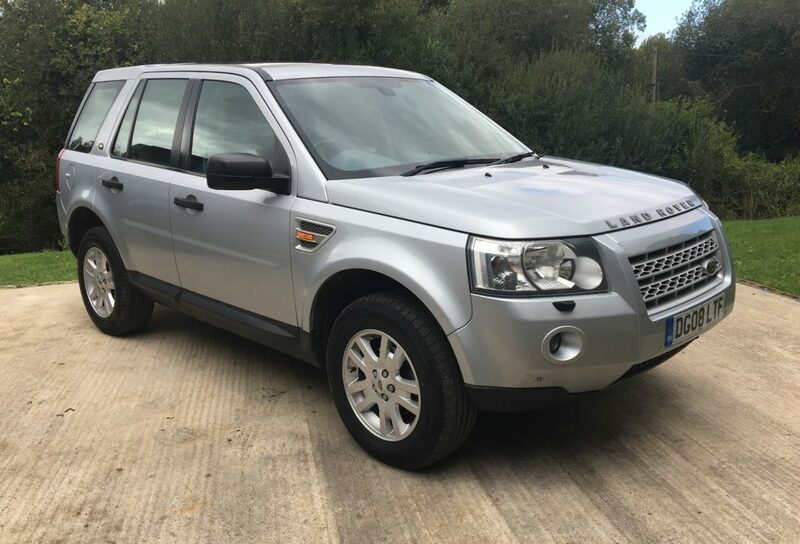 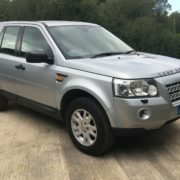 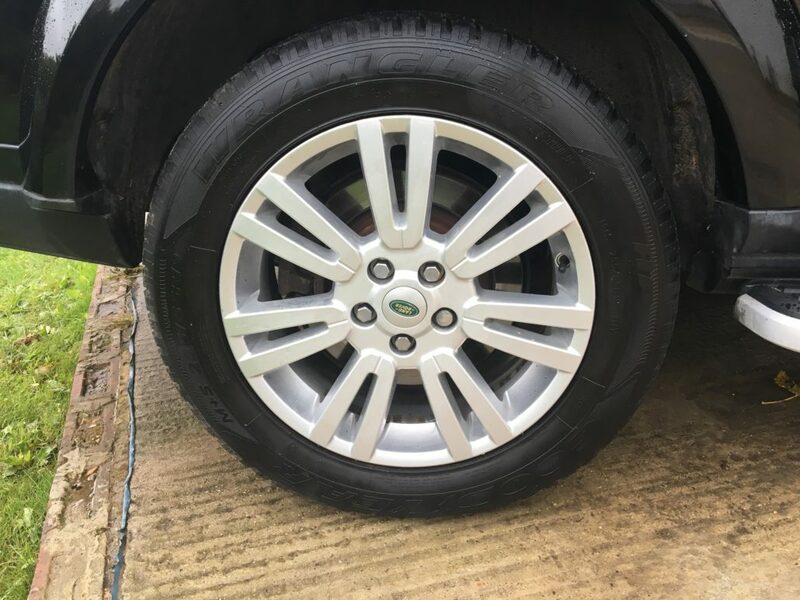 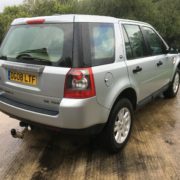 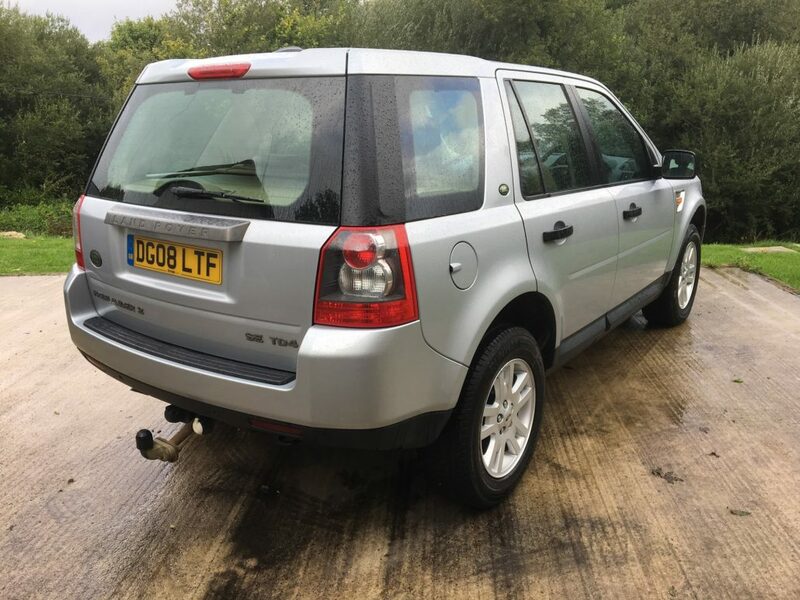 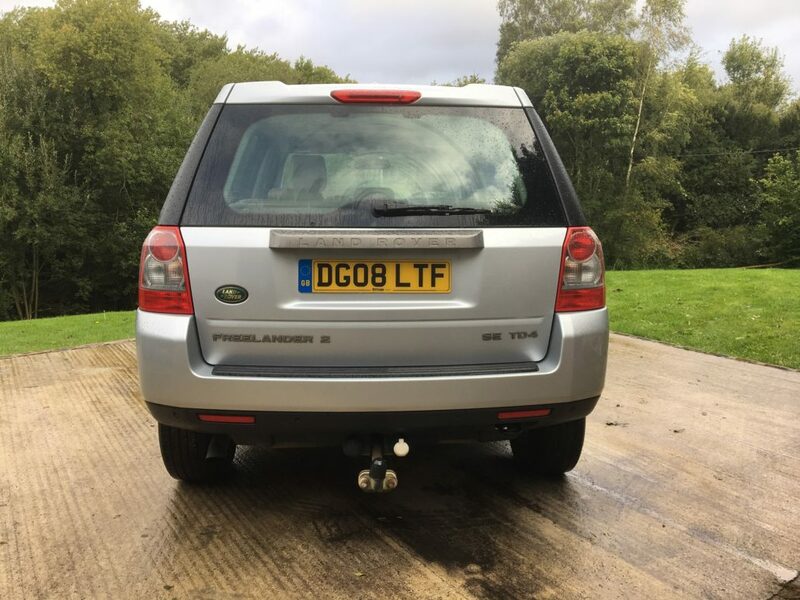 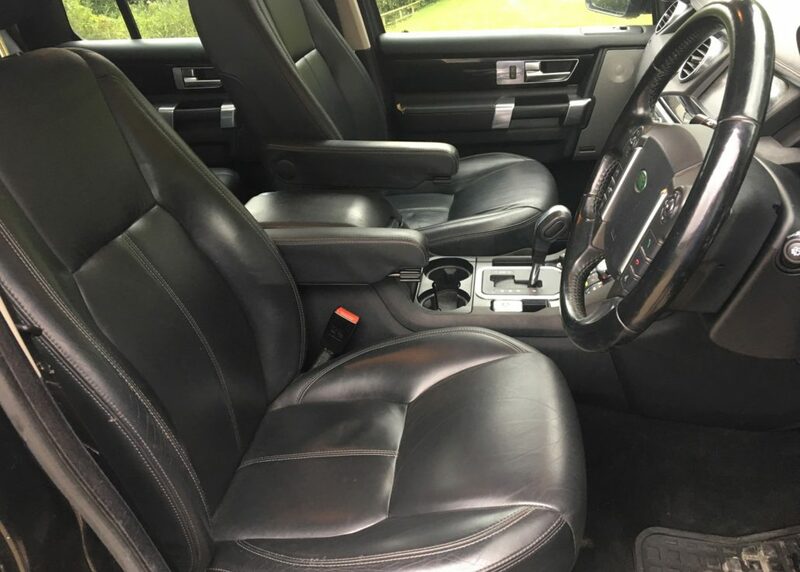 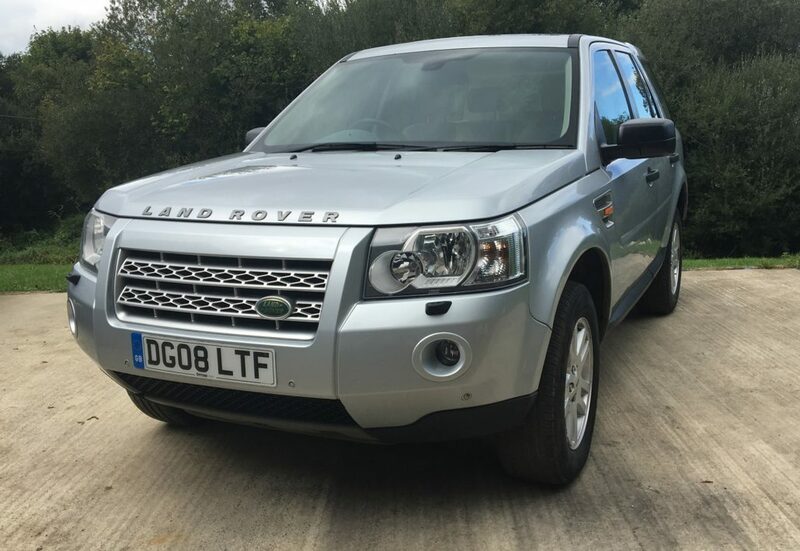 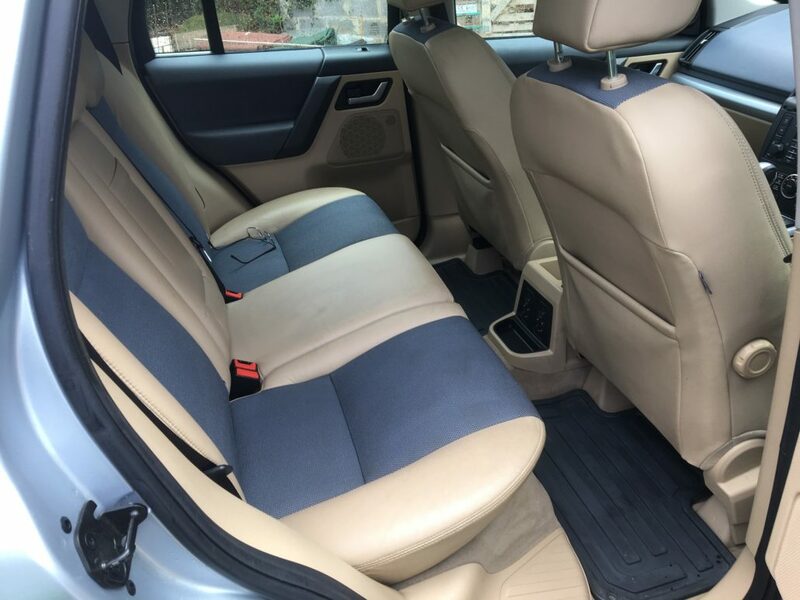 Great condition Freelander SE, with Full Service History, MOT until March 2019 and only one previous owner, Upgrades – Bluetooth phone, Metallic Paint, Tow Pack, Standard Features – Alarm, Alloy Wheels (17in), Climate Control, Computer (Driver Information System), Cruise Control, Electric Windows (Front/Rear), Heated Front Screen, In Car Entertainment (Radio/CD/MP3/CD Autochanger), Seats Heated (Driver/Passenger), Sunroof Electric (Glass), Seat Height Adjustment (Electric Driver/Passenger), Traction control, Combination leather seats, Air conditioning, Central locking, Parking aid, Mirrors External (Electric/Heated/Folding/Auto Dimming). 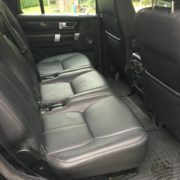 5 seats, Silver.